C&IT Power 50: 24 hours left to vote! 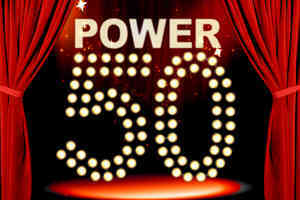 C&IT's Power 50 shortlist has attracted over 3,500 votes. The 100 most nominated names this year made the shortlist, which was revealed online two weeks ago, and readers have been voting in their thousands since. Who had a significant impact on the UK events industry this year? Corporate or agency, supplier or industry association head - who do you think deserves to make the final 50? Don't miss out on the chance to have your say. The shortlist will be live until midday on Tuesday 15 December, with the final vote to be made at an exclusive interactive launch event at Dukes in London that evening.